Please note that by booking a sterilisation slot through Cat Welfare Society, YOU AGREE TO THE TERMS & CONDITIONS stated in the consent form. Download this consent form for the full terms and conditions. 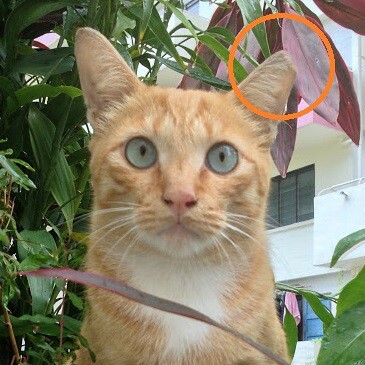 All cats sterilised through CWS will have their left ears tipped WITH NO EXCEPTIONS. All trapping, transport, boarding and other medical costs are borne by volunteers (How to trap a cat). There is a limited number of sterilisation slots that we are able to support per month. An allocation is not guaranteed for every submission we receive. Do consider making a donation to CWS if you have benefitted from our sterilisation programmes. CWS is a registered charity in Singapore with Institution of Public Character (IPC) status; any donation to CWS will receive a tax deduction of 250%. Starting from July 2016, SCSP has been expanded islandwide to cover HDB, private, commercial and industrial estates. We seek your cooperation to provide full details to register community cats under the free sterilisation programme so that funds from AVA will be forthcoming to help more cats in Singapore. The programme is co-funded by Cat Welfare Society and the Agri-food & Veterinary Authority of Singapore with the support of Town Councils to promote responsible and humane cat management in all HDB estates. SPCA is also one of the partners under SCSP, providing the same scheme. To book a free sterilisation slot, please fill up the following form. Please note the details will be used by CWS’s staff and/or volunteers in the performance of their functions. Our volunteer will get back to you within 3 working days. Dates allocated will depend on the vet clinic. Please note that there is a limited number of sterilisation slots that we are able to support per month. An allocation is not guaranteed for every submission we receive.